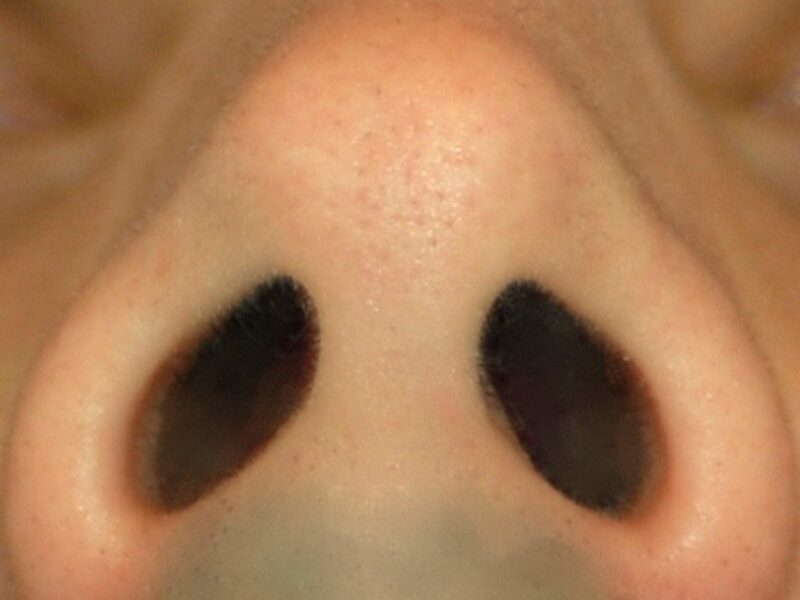 A deviated nasal septum can play a large role in nasal obstruction and difficulty breathing. In some circumstances it can affect the external appearance of the nose and nostrils. Whether you have severe breathing problems and/or you simply want to change the structure of your nose, you may want to seek evaluation of your septum. The nasal septum is composed of cartilage and bone on the inside of the nose that separates the right and left nasal cavities. Almost everyone has some degree of septal deviation; however, for some people this deviation is severe and affects nasal breathing. Other anatomic factors can contribute to nasal obstruction, including enlarged nasal turbinates. When these factors contribute to nasal obstruction, internal nasal surgery can be performed to straighten the nasal septum (septoplasty) and reduce the size of the inferior nasal turbinates (turbinate reduction). The result for you is improved nasal breathing. Of course, other factors can contribute to nasal obstruction, including allergies and sinus disease, so optimal breathing may require a combination of medical and surgical treatment. Septoplasty surgery is frequently combined with rhinoplasty (external nasal surgery) for those patients who want to enhance the outer appearance of the nose at the same time. Patients of all ages may be candidates for septoplasty surgery. During your initial consultation we review your medical history and perform a full nasal examination to decide if surgery is best for you. If you are also considering changing the appearance of your nose we utilize state-of-the-art computer imaging software to show you how various techniques can enhance your nasal appearance. You will be administered “twilight anesthesia,” meaning that you are asleep during the procedure, but you will continue to breathe on your own without the need for a breathing tube. All incisions are on the inside of the nose, so there will be no visible scars. In septoplasty, we straighten and reposition the cartilage and bony parts of the septum, which is the central part of the nose that divides the left and right nasal cavities. For turbinate reduction, we shrink and reposition the inferior turbinates to further open the nasal cavities. We often combine straightening the inside of the nose (septoplasty) with reshaping the outside of the nose (rhinoplasty). All incisions are closed with dissolvable sutures. We do not use nasal packing, so pain is minimal and normal nasal breathing resumes faster. You will have some stuffiness for the first 1-2 weeks, depending on individual healing. We will recommend specific nasal sprays to speed the healing and improve nasal breathing. The dissolvable sutures will gradually disappear without the need to remove them in the office. You should be able to resume normal activities and exercise in about 2 weeks.